Greys are undoubtedly the most famous of all alien species and are constantly depicted in science fiction and are the most reported type of alien involved in everything from sightings to full blown abductions. There are apparently three types of Greys; Zeta Reticuli Greys (type A Greys), Orion Greys (type B’s) and the more elusive type C’s. The Zeta Reticuli Greys that we will refer to as type A’s are one of the more common Greys reported. The type A’s are usually described to be around 4 or 5 feet tall at the very maximum and are considered as cold and inhuman by inside sources and abductees alike. 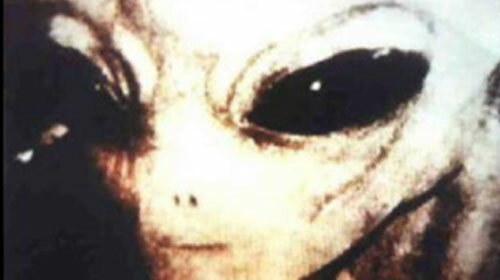 These slender aliens are light and almost delicate looking are are always described to have an over-sized cranium and large, slanted black eyes. The other facial features of the type A’s vary from account with some being described to have noses and mouths and other accounts pointing out that they had neither features. The skin color of the type A’s and Greys in general varies from white to a tan color and its believed that the Greys actually ‘feed’ through their skin by absorbing nutrients, this also ties in with reports that the Greys have no digestive system. Its for this reason many believe the Greys are accompanied by a less than delightful stench. The type A’s have been reported to communicate telepathically and are also believed to have evolved to a point where they have no need for sexual reproduction and instead create clones of themselves similar to the jellyfish Turritopsis nutricula. The type A’s are heavily into genetic modification and are believed to have altered the course of human genes and directed our evolution to a certain degree. The fact that the type A’s are obsessed with genetic modification supports all the accounts of human abduction and the accounts of experiments and probing. The reason for this is unclear however some say its they are trying to create hybrids to better themselves and others say our genes hold the key to saving the Greys from an unknown threat. Out of the three types of Greys the type A’s are believed to be the ‘scientists’. The type A’s are believed to come from the Zeta Reticuli system which is a neighbor to the Orion star system where the type B’s are believe to hail from. These type A’s are currently widely believed to be operating out of Earth with the co-operation of our government. i will never ever never ever want to meet those! !